Iran will not set any preconditions for the peace talks on Syria scheduled to be held in the Kazakh city of Astana later in January, the Iranian Foreign Ministry spokesman said Monday. 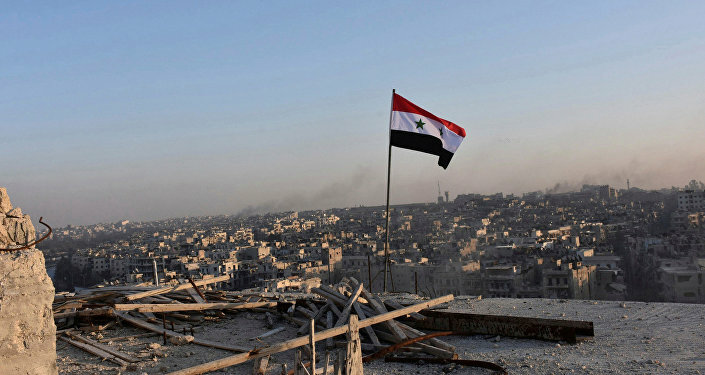 MOSCOW (Sputnik) — Kasimi noted that Iran, Russia and Turkey were the only countries to take part in the talks and refuted the recent media reports alleging that Russia, Iran and Turkey had agreed to divide Syria into zones of influence. "We respect the territorial integrity of Syria… Changing borders and violating the national sovereignty of countries is wrong," Bahram Kasimi said as quoted by Anadolu news agency. "Dictating views is out of the question… We do not have any special conditions," Kasimi said. Russian President Vladimir Putin announced on Thursday that the Syrian government and armed opposition groups had reached an agreement on a nationwide ceasefire in Syria and on readiness to start peace talks. Putin called on the Syrian government, armed opposition and all countries with influence on the situation in the Arab republic to support the reached agreements and to take part in the anticipated talks in Astana. A nationwide ceasefire between the Syrian government and opposition factions came into force at midnight on Friday. Russia and Turkey serve as guarantors of the ceasefire deal, which paves the way for negotiations between the warring parties.